The month of October and especially the month of November have been marked by 1 thing, the new concept that I finally want to share with everyone; NintendoReporters! In October 2017 I wanted to do something more with a passion that I have since I was a few years old; Nintendo! Ever since daybreak I have had a love for the gaming world and with a primary focus on what Nintendo does. They have always been at the forefront with innovations and the like. What I noticed was that most websites that do game reporting mainly focus on Sony and Microsoft. I understand that because the market share of these two is a lot bigger than that of Nintendo. They attract a larger audience and that is always nice when you look at the web in a general sense. But the image is in my opinion a bit too distorted, because there is a lot happening on Nintendo and we have not even mentioned the enormous success of the Nintendo Switch. In addition for the good order; I have NOTHING against Sony or Microsoft. Both companies have a different approach to Nintendo and there is nothing wrong with that. There must always be a good balance and that is also the case with competition. I did not think that reporting in the Netherlands in the field of Nintendo was good enough. That is why I decided to create NintendoReporters on my own medium. At NintendoReporters, the medium focuses on everything from Nintendo and all consoles such as the Nintendo Switch, Nintendo Wii, Nintendo 3DS and 2DS. That covers, among other things; news, previews, reviews, guides, editorials, interviews, rumors and much more. Prepared for, the Dutch market is my main reason, but because news often comes out faster in English, I have decided to make this medium bilingual. 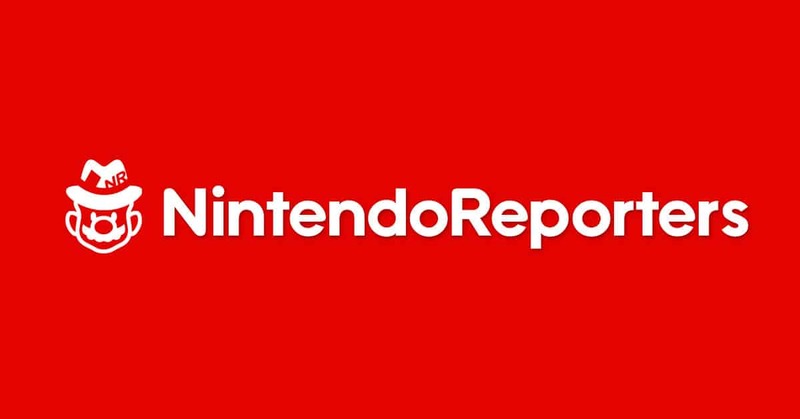 At the moment we are working with our soft-launch of Nintendo Reporters, we want to feel whether there really is a need for our medium, but judging from the first interactions we have had with visitors through the website, the social media and the overall I think I will continue to implement this concept for a long time. Where on the one hand more time goes to means that on the other hand less attention can go to it. That can not be disputed. That is also the reason that compared to the past, I have been less on the road with PFSquad.NU in mind. That does not mean, however, that I am going to leave my baby PFSquad.NU for what it is. But it does get a slightly different interpretation because I have to share the attention and care that is needed with something that is also very important to me in NintendoReporters. For an x ​​number of people that I have regularly encountered at the necessary parties, I have already said the following a number of times. I only want to do with PFSquad.NU what I really like or what is good in terms of costs. That may sound cru, but let me explain that; I have never done anything with PFSquad.NU to make a profit, in fact I think that only money was put in it. Of course, thanks to PFSquad.NU, I have been able to enjoy a lot, often for free, while others had to buy a ticket, and that’s great. But if you really make a balance and the time it contains (maintaining the website + everything that comes with it, process the photos + everything that comes with it, travel to events etc.) put the income, with the comment that we have almost never asked for a specific fee (not even to break even) then you do not end up on a + but on a -. It’s just that simple. Now that I am getting older myself and also want to ask other things, etc. it must be fun or profitable to keep doing this. Does that mean that I say no to a job from the north, maybe even if it is not cost-effective / cost-effective in my eyes. If that means that PFSquad.NU will come to a lower level every now and then, so be it. But as stated, it does not mean that I am going to make PFSquad.NU stand up or anything else. You will definitely see me regularly on the road with the camera, because I simply can not do that without it.